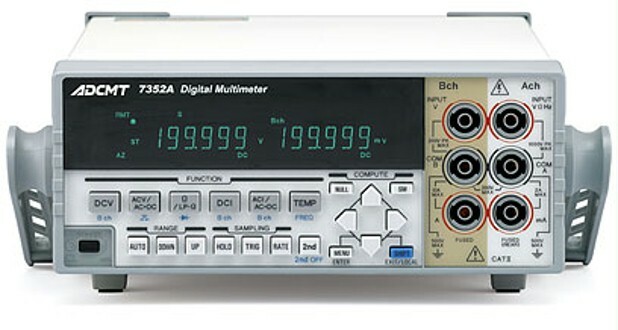 The DMM 7352E is a 5½-digit multimeter with two real channels. 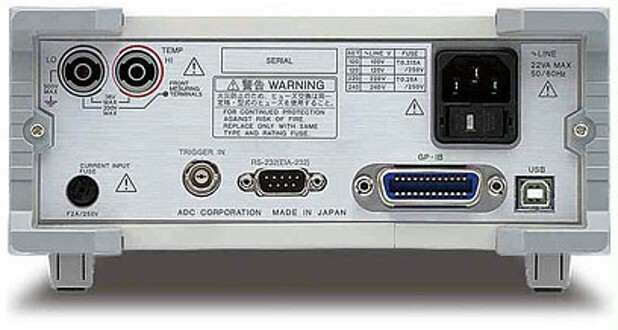 It has twin A/D converters that enable fully independent measurement of two-channel signals and it is suitable for high-speed measurement and parallel measurement of different functions. The DMM 7352E is a 5½-digit multimeter with two real channels. It has twin A/D converters that enable fully independent measurement of two-channel signals and it is suitable for high-speed measurement and parallel measurement of different functions. 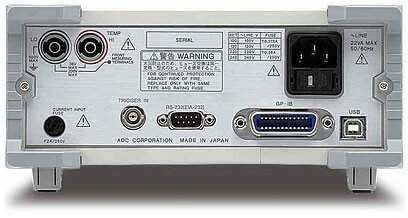 The DMM 7352E features extremely low-current measurements down to 10 pA.